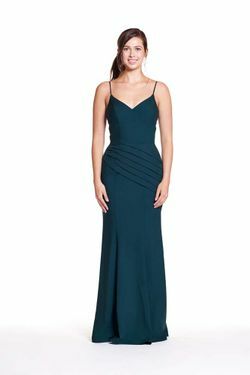 Bary Jay bridesmaid dress style 1846 - Georgette gown - Sweetheart with side pleats. Slim skirt with side slit. Shown in Dusty Pink.